If anything can, this high-quality, realistically hand-painted alligator will stun your neighbors and keep your garden free of all kinds of intruders! Position this more-than-four-foot-long, lifelike creature poolside or in a garden to ward away pests. 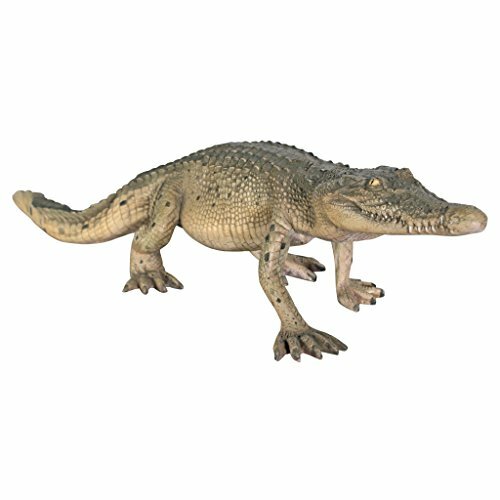 Our prowling gator is sculpted, then cast in designer resin, and each scale is finished with the utmost authenticity. This large-scale, display-quality sculpture transforms any home, garden, restaurant or hotel into something truly magnificent! 50"Wx9"Dx11and 1/2"H. 6 lbs.